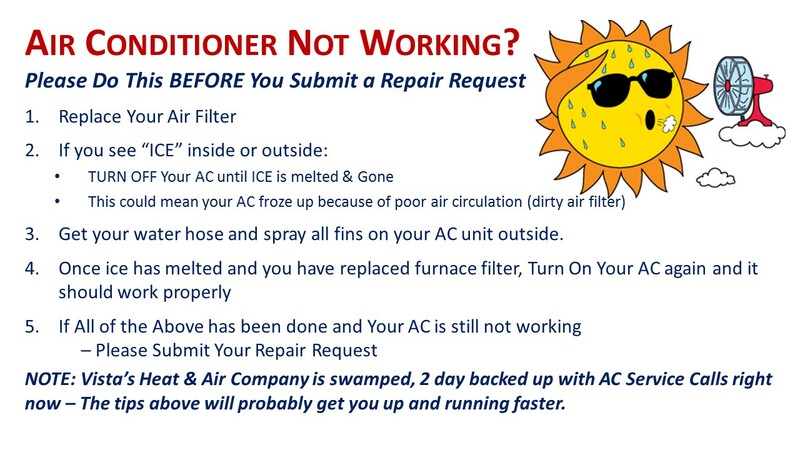 NOTE: All Air Conditioners have a hard time when the temp is above 90 degrees and the humidity is super high. Fall is here and now is the time to get your house in shape for the cooler months. Although autumn can be one of the busiest seasons for homeowners preparing for winter, it’s also the best time to take advantage of the moderate weather to repair any damages before the first frost sets in. Here are some home maintenance ideas that will keep your home running in peak condition all winter long. Install storm windows and doors and remove screens. Before storing, clean and repair screens, spray with a protective coating and place in a dry area of the basement or garage. Inspect exterior walls to see if any paint is peeling or blistering on the house or outbuildings. According to Carl Minchew, Director, Benjamin Moore Paints, “Peeling paint is a sign that the existing paint film is failing and can no longer protect the siding of the building. Left uncorrected, the siding itself will deteriorate, leading to expensive repairs in the future. 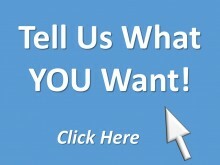 Examine your pool cover for damage and replace if necessary. 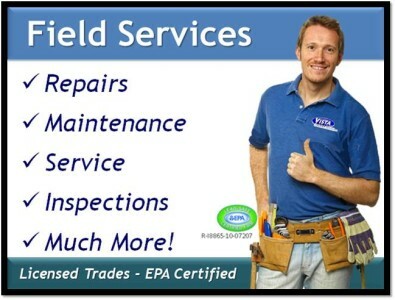 Have your heating system checked by a licensed heating contractor. Heating systems will use fuel more efficiently, last longer and have fewer problems if properly serviced. Get your woodstove and fireplace in working order. Gary Webster, Creative Director of Travis Industries, suggests that you examine your wood stove or fireplace insert’s door gasket for a tight seal. Also clean and inspect the glass door for cracks and have the chimney cleaned by a licensed chimney sweep. “A clogged chimney poses the risk of a chimney fire, which can be ignited by burning creosote—a combination of wood tar, organic vapors and moisture buildup,” says Webster. Test and change the batteries in your smoke and carbon dioxide detectors and keep extra household batteries on hand. Check basement windows for drafts, loose frames or cracked panes. Vacuum internal parts of air conditioners. Remove units from windows or wrap outside box with an approved tarp or plastic air conditioner cover in order to prevent rusting of vital parts. Clean your humidifiers regularly during the heating season. Bacteria and spores can develop in a dirty water tank resulting in unclean moisture misting out into your room. Organize your garage. Clean and store summer garden tools. Clear leaves from lawn, reseed patchy areas, and plant spring flowering bulbs. If deer are a problem, start deer-proofing by covering plants with netting and chicken wire. Prepare your yard equipment for storage. This includes draining fuel from all gas-operated equipment such as lawn mowers, leaf blowers, and chain saws. Drain garden hoses and store them inside. Also shut off outdoor water valves in cold weather. Any water left in exterior pipes and faucets can freeze and expand breaking the pipes. Inspect and fill bird feeders. Keep in mind that once you start feeding birds you should continue on a regular basis throughout the winter months. Fertilize the lawn with a high phosphorous mix to ensure healthy grass in the spring. Check the supports, stairs, and railings on porches and decks. Make sure the handrails can support someone slipping on snow or ice. Clean porch and deck furniture, and look for any needed repairs. Cover and store outdoor furniture and barbecues in a protected area. Make sure all soil is emptied from pots and planters. Dirt left in clay pots will freeze and cause the pots to crack if left outside. 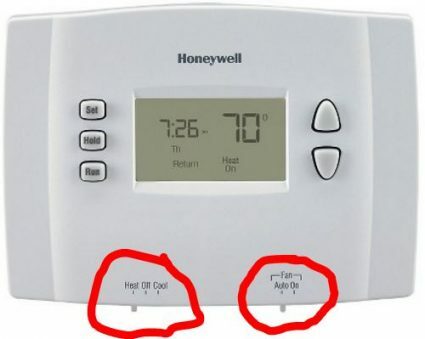 remember, even in the AUTO mode, your fan will continue to run after the furnace has cycled off. 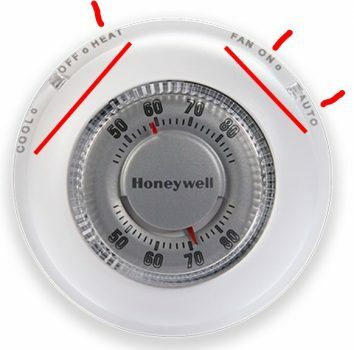 this helps to cool off your furnace- it may blow cold air during this ending cycle.